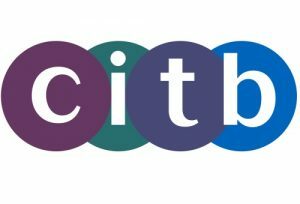 CITB funding secured by the TTA is now assisting fixers gain their NVQ, and in turn CSCS cards. This is in accordance with the Government’s aim to achieve a fully qualified workforce by 2020, stimulating the market by providing a route to qualification for experienced operatives via on-site assessment (OSAT). CSCS cards are required for all construction site workers no matter which trade. The TTA hopes to assist those in our industry sector who have previously gained their CSCS cards via the Industry Accreditation route, as timeserved tillers. Since this route is no longer available and further card renewals may not always be accepted without the new qualifications, the TTA encourages those card holders to complete the EWPAR or OSAT route. Experienced tilers who gained their CSCS cards via the industry Accreditation route can achieve an NVQ following just one day’s assessment of their work on site. The assessor will also need all other supporting of the candidate’s knowledge, which can be gathered verbally and through supporting documentation. Tilers who go down this route can carry on working, whilst being assessed to NVQ L2. The TTA is also looking to recruit NVQ assessors to help take advantage of this opportunity to upskill the construction industry. Having independent NVQ assessors will help the TTA strengthen its training activities and make it easier for companies and independent fixers to access the training support they need, and the aim is that eight new NVQ assessors will be trained over the next 18 months. The training that is now on offer comprises a one-day course at a Training Centre or a visit on-site, although there would be an additional charge for the latter. The training costs £500 for TTA members and £600 for non-TTA members. Both are subject to a £68 registration fee.